I have a secret. Are you listening? I have a spelling secret, are you listening? But firstly, I am going to give you the background of what my secret will reveal at the end of this blog. Yes, it is something about spelling. I am passionate about spelling; I love teaching it, I love learning about it and I constantly find new ways to help students to learn easier ways to spell words. Globally, spelling is really low, children all over the world are struggling with this basic area of the curriculum. For many years I have watched as teachers gave spelling words for homework each week. The students learn the spelling and score ten out of ten but, very few students retain the spelling or even transfer the knowledge learnt to their writing. Consequently, the teacher must realise that the student doesn’t know the spelling. But, let’s go back a little-were the students taught strategies to spell the words or were they left to memorise the spelling through antiquated means? I know so many teachers and parents who are pulling their hair out over the deterioration in spelling. So, let’s look at what spelling is all about. English is an opaque language, by that I mean there are some problems with consistency of rules and the irregularity of sounds and words. But, if spelling is taught in a structured manner these problems can be overcome. The first way that children begin to spell is by using the sounds that they know. Gradually, as the number of known sounds increase, the spelling not only relies on the sounds of the word but on the look of that word. Take for instance, the word- say. Using the phonetic approach we could write the word in many different ways-sa, say, sai, sae, seigh. All of these words are phonetically correct but they are not visually correct. There is only one that is visually, correct, say. This visual skill is tested in every NAPLAN test (Australia’s national testing regime for Years three, five, seven and nine). The people who prepare the test use the phonetic spelling of a word and the students have to write the visually correct word. This process becomes problematic for the student if he can’t recall letter combinations that make the same sound as that needed to replace the incorrect part of the word. So now we are back to square one again. Step one requires that students learn the sounds that letters make early in their schooling. This learning goes far beyond learning only the alphabet sounds. There are many levels of sounding that need to be automatically recalled. Once the student is able to recall the sounds, there is even a more difficult step to conquer-remembering the letter combinations without a prompt. To give you an example-say the student is asked to write the word, herd- the sounds of /h/ and /d/ are easy; but the /er/ sound requires more attention. Is it ir, er, or ,or ur? The student has to recall these letter combinations and make certain that the one chosen looks correct. How do children accomplish this skill? NAPLAN results in spelling tell us that they haven’t. So we must go back to the beginning of the spelling journey. Step by step students need to learn the visual skills of spelling to be able to write effectively. Obviously, teaching a whole lot of sounds at once without application to rules and strategies doesn’t work. Now, here is my secret. 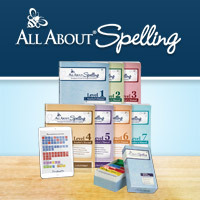 There is a program that you can use at home to teach your child how to be the best speller. It was created by Marie Ripple, a literacy consultant in the States. You can read about Marie’s struggles with her own child here. Marie makes certain that all the elements of a spelling curriculum are included in each step of the program. Phonic, visual, morphemic and etymological skills are taught in a balanced approach so that the child is learning foundational skills before moving to the more complex information. This approach is gradual and rehearsed regularly so that any extra support can be offered if the child needs it. The program moves step by step with full instructions on how to teach spelling. It is fantastic for classroom teachers and for parents who are worried about their children. The child learns the sounds as he moves through each level and applies that knowledge by making words with cards that are supplied in the program and then, following this activity, writes phrases and sentences that incorporate the spelling skills that have been taught. Marie has developed a desk plan for the letters and the letter combinations that she teaches. This letter tile assembly plan is placed on a desk so that the child can use the letter tiles to make the words. Following this card activity, the letters act as a cheat sheet while writing phrases and sentences to apply the taught skills. Everything is provided to make certain that your child is able to spell successfully. This multisensory approach is great for children with dyslexia. It is the rehearsal and practice that helps these children to learn to spell. Rehearsing the letter cards on a daily basis supports memory and success. What I love most about the program is that the child can achieve success in the first session. This raises self-esteem and hence increases motivation to continue with the program. This is the way that all students should be taught spelling. Don’t allow your child to be yet another statistic. Take the time to read about All About Spelling and what it can do to create a great future for your child.